Guess what I just did? Had my first ever blogger meet up! With the lovely Shanna of Shanna, Like Banana and I can honestly say, I had so much fun. I was so nervous all day and felt like I was going on a first date, but Shanna is a genuine and fun person and we had so so much to talk about. It’s so nice to go out to dinner with someone and feel no shame in whipping out the camera as soon as the food hits the table. 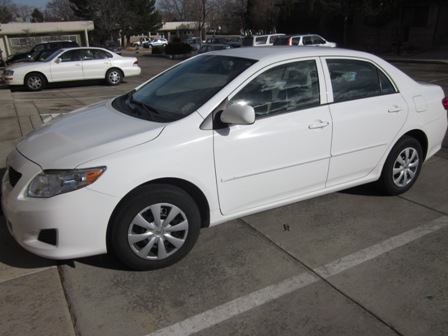 Side note: check out my new car. Hello, early grad present. There’s nothing like new car to make commuting much more enjoyable. I had picked a Mexican restaurant for Shanna and I to go to but there was an Italian place a few doors down called Via Baci. 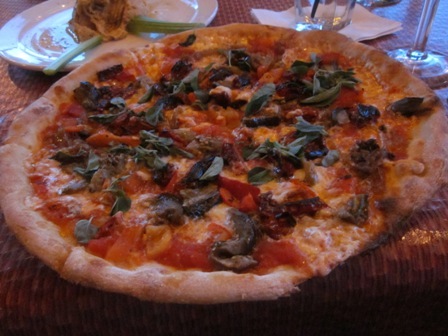 It had me at pizza and vino, although I let the wine expert choose a glass for me. With the wine situation taken care of, we moved onto food. 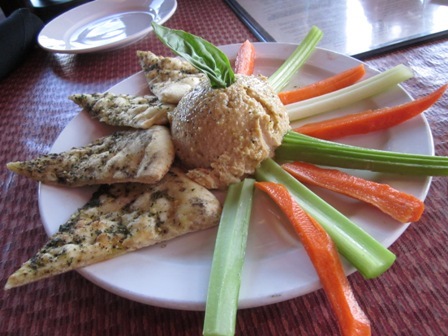 We passed on the mussels (ew) and the artichoke dip for something a little lighter: hummus. Did you expect anything else from me? 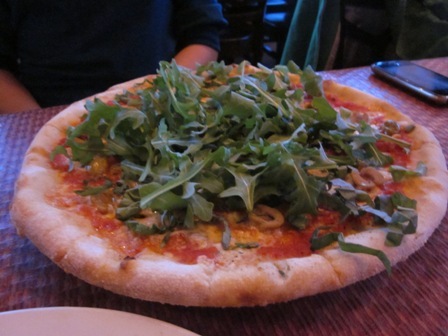 Then we each got a pizza. I had no idea how much we had in common (did you know we are both former dancers and were on high school dance teams?). Could I be any whiter? Don’t answer that. You didn’t tell me about your new car…sweet! So great to meet you pretty lady! I was nervous for my first blogger meet-up too…it’s strangely like going on a date, but luckily, it was soooooo much more chill than that. Plus, like you said, it’s fun to bust out the camera at a restaurant with someone and not be met with a weird stare and a demand for an explanation. 🙂 Food bloggers are awesome like that. Yeah, remind me why we haven’t already done that. You could be whiter [if you were me!] lol. What a fun night! 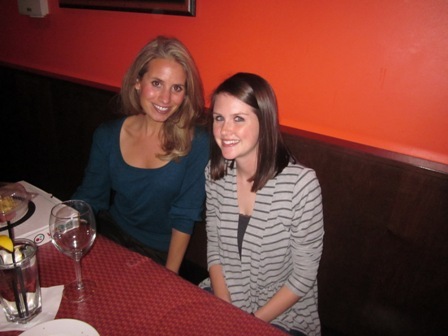 I love meeting other bloggers – the conversation never stops! Glad to hear you had fun!! I would be nervous about meeting other bloggers I only know from online, too; but at the same time would absolutely love to officially meet everyone I blog with.